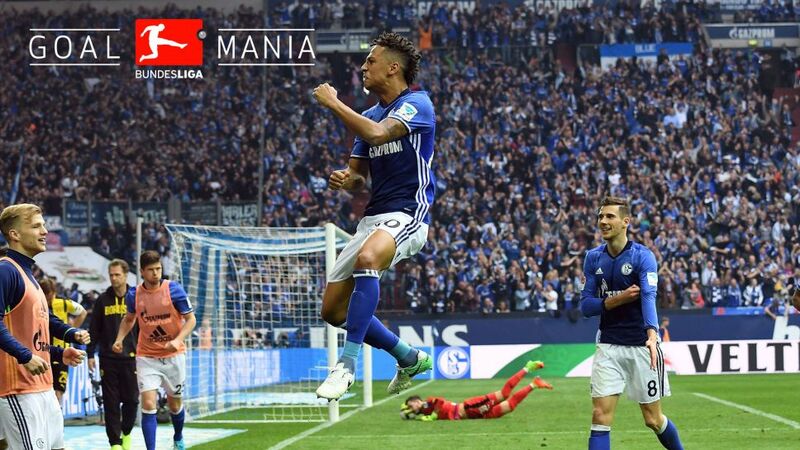 Thilo Kehrer has been one of the shining lights of the Bundesliga Rückrunde. In the space of just a few weeks, the 20-year-old has made himself a fixture of the Schalke backline and his light is shining even more brightly following his goal in the Revierderby against Borussia Dortmund. In an exclusive interview with bundesliga.com ahead of the 150th Revierderby, the newly-capped Germany U21 international spoke about his long journey from the academy to the first team as well as his friend and former teammate Leroy Sane. Is Kehrer in your Offical Fantasy Bundesliga team? Pick him here! bundesliga.com: The Bundesliga, the UEFA Europa League and now the Germany U21s. How does a 20-year-old cope with that, both physically and mentally? Kehrer: You try to rest and recover as well as possible, get enough sleep and eat the right things. You probably couldn't play in games of this intensity if you didn't. As a young player, you have to get used to the speed of the matches first of all, and I have to admit that I was a bit exhausted after my first two games. But I think that's normal and since then I've felt better after every appearance and my muscles now recover very quickly for the next day. As for the mental strain, these few weeks have just been full of joy for me. I'm pleased to finally be able to show what I can do, prove myself and contribute to the team's success. bundesliga.com: You've had to wait a long time for this chance since you were first called up to the first team in 2014. How have you dealt with the situation since then? Kehrer: Yes, there were times when I felt unhappy and maybe even began to doubt myself a little. I've asked myself why things are working now but I didn’t get a chance earlier despite training well. The decisive thing now is that I've always believed in myself recently and just concentrated on what I can do, which is the day-to-day work on the training ground. You have to give your all there and put in extra hours, which I've done, because when the chance finally comes, you have to be ready. bundesliga.com: Leroy Sane was also part of the U19 side you captained to the title in 2015. You became good friends - are you still in regular contact with each other? Kehrer: Yes, we speak almost every day one way or another. Leroy is doing well in Manchester. He's pleased to be able to learn from Pep Guardiola and continue his development. He's very happy with how things are going. bundesliga.com: During your time together, did you think he would achieve such great success so quickly? Kehrer: People on the outside maybe didn't expect that, but I believed he could as I saw him every day in training and could see what he's capable of. However, even I couldn't have predicted his career would take off like it has within the space of half a season. bundesliga.com: People are saying similar things about you after roughly 20 appearances in all competitions this season. Do you have the feeling you've achieved your dream of being a first-team footballer or do you still fear the dream could turn sour? Kehrer: I don't tend to think about whether I've achieved my dream or whether it could all go bad. I think I'm on the right path and am enjoying the moments as they come. Of course, I'm doing all I can to keep going down this path to success. bundesliga.com: You are now in line to make your first Revierderby appearance for the first team against Borussia Dortmund. Are you now more nervous than in previous weeks? Kehrer: I'm probably less nervous. There are a few moments when you're on the team bus on the way to the stadium and sense the tension but after that the tension goes when you go out to warm up on the pitch. I'm then fully focused on the game and what I have to do. It'll be the same for the game against Dortmund. bundesliga.com: You were born in the south-western Germany near Stuttgart, but to what extent do you believe that this derby is the most important game for Schalke fans? Kehrer: I've been with Schalke for six years now and even during the youth games against BVB you could sense the history and tension between the sides and what importance it had for the fans. bundesliga.com: Just four weeks ago after the 4-2 loss in 'Gladbach, it seemed like this transitional season for Schalke was all but over. Things are now looking more positive. Do you still wonder how quickly the mood at Schalke can change so quickly? Kehrer: No, not anymore. I've been training with the first team since 2014 and know that the mood around the club can be bad after a defeat, but it can turn right around after two good games. The important thing is that we remain calm within the squad and not let ourselves be influenced by what happens on the outside. bundesliga.com: You have been drawn against Ajax in the Europa League, which is not an easy task, but still looks manageable. Do you sometimes think about the UEFA Cup winning team from 1997? Kehrer: Yes, sometimes we talk about it within the team. There are still some people at the club who were around then. And young players like me are of course curious and want to know what it was like when Schalke won the UEFA Cup. I always like hearing when people involved in the triumph talk about it.